Well today is the BIG day…SISSIE is getting married. it’s an issue…I am die hard I guess. My home tour today, almost did NOT happen. We were persistent though and I was bound and determined to get this one up. Jennifer’s HOME is fantastic and I know so many of you are going to LOVE it, and want to head right on over to check her out! Welcome to our home we call Cottage8. We bought this 1200 square foot ranch style home 4 years ago. This house was run down and downright nasty when we first bought it. But don’t take my word for it, click here to see the before’s. I think you’ll agree! Everyone thought we were crazy for buying it. FAQ’s page to find out how we did it all, and all our sources. While I have no formal design training, I have a strong passion for interior decorating. Things change around here on a weekly basis, and you just never know what I’ll be renovating next. I’ve recently completed our guest room and tv room, as well as our guest bathroom (all projects four years in the making). I’ll be revealing these spaces on my blog this coming Fall. By trade, I’m an antique dealer, and I have an online shop where I ship for free all over in the US. 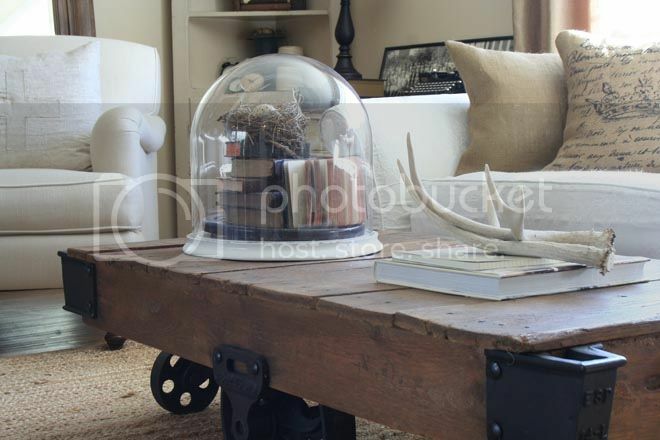 Perhaps it’s the influence of the great finds I bring back from my favorite flea markets and regular hunting spots, but I’m always on the lookout for curious pieces to create a unique and personal space that reflects our personalities. 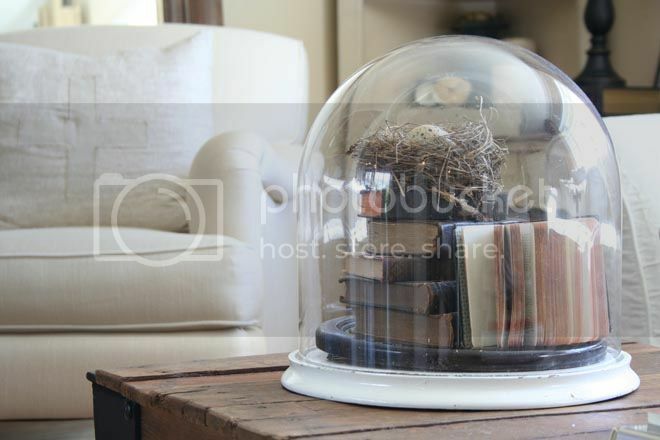 Loving this cloche idea! PRETTY! Thank you so much Jennifer for sharing your spectacular home with us. 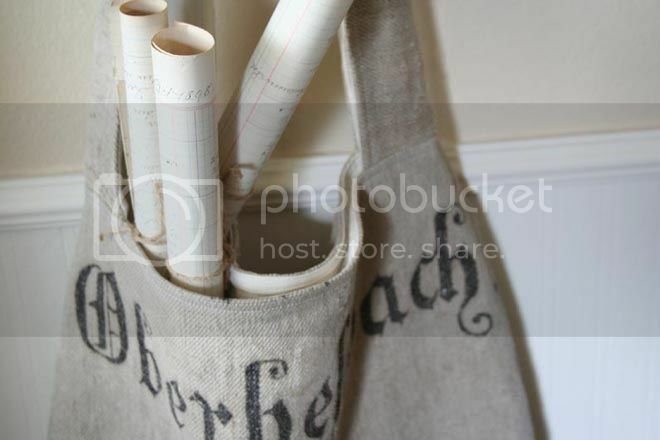 For more fabulous home projects head on over to Jennifer’s for more! See you all later, off to get ready for the big day! 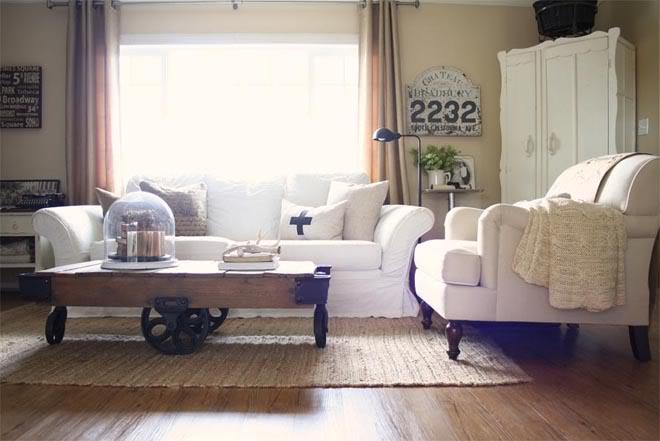 Looking for more home tour inspiration? I have plenty! Hi Debbie Dear! Thank you for sharing Jennifer’s lovely home. What a lot of work they’ve done and how it paid ott! Have a great time the wedding! Jennifer has wonderful style. I love all the details in every room. She has a beautiful home!!! I love her blog! I have been following Jennifer for awhile now. Her transformation is so inspiring! Thanks for sharing it and reminding me of all the wonderful things. Have a great time at your sister’s wedding! What a wonderful tour, and a beautiful home! Have a blast at your sisters wedding! What a truly beautiful and tranquil home. LOVE LOVE Jennifer’s home!! Heading over there now to see more! Wishing your sister and her new hubby a lifetime of happiness! Can’t wait to see pics! Already very familiar with Jennifer’s wonderful cottage. Thanks for the tour. Thank you for showing this awesome house! I would move in there in a minute! I like it all, but it is the 2223 sign that really grabs my eye so I’ll head over to her blog and read some more and pin that cutie. Debbie, in the lobby in your PJs? I’d like to see a photo of that! You are devoted! Thanks for sharing Jennifer’s home. I’ve been one of her followers since early on. She has done an amazing job! Jennifer is so incredibly talented. 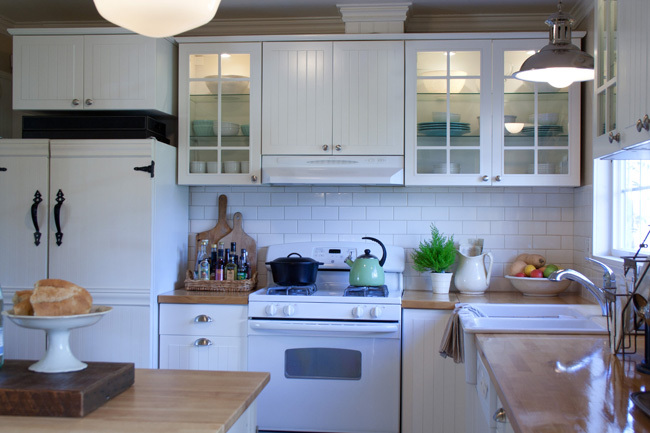 I love her cottage…everything about it! Her style is influencing a couple of my decisions in the library! Thanks for the tour, Jennifer and Debbie! Enjoy your sister’s wedding. Wish her good luck from me! 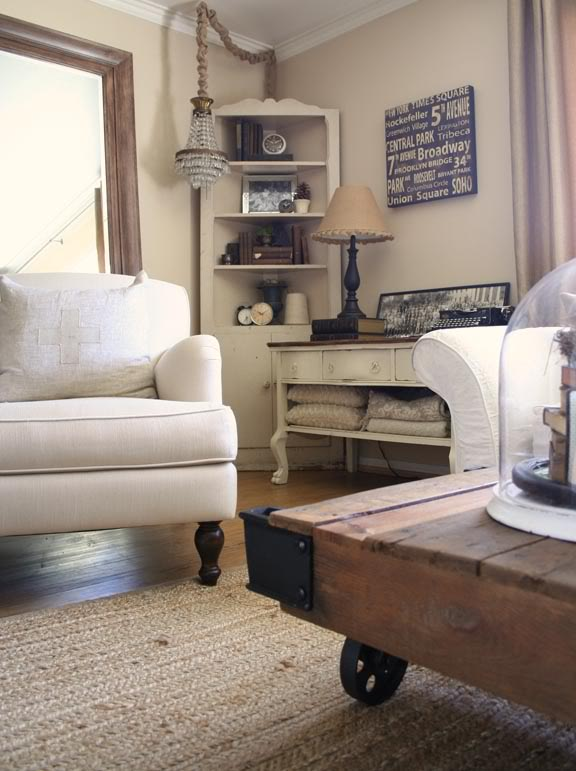 This is a lovely home-tour post and I went over and checked out the shop *ooh-la-la! * too fun. Your in the lobby in your PJ’s made me laugh big time but a girl has to do what a girl has to do. I love this house tour. Every room is beautiful from beginning to end and I love the accessories. That large cloche is great. How could I not mention that cloche. Hi Debbie, I love Jennifer’s home. Best wishes to your sis, I hope you all have a wonderful day. Congrats to your sister on her wedding!! What a fabulously pretty home!!! Love the style! Jennifer’s the bomb! She helped me pull my house together via online, and phone conversations, and it was beyond incredible how she guided me. I always love seeing what she’s doing with her house, it’s so inspiring, thanks for featuring her! Did I just read that you’re in the hotel lobby in your pj’s? Debbie, you’re too much! I hope you have a wonderful time today at your sisters wedding. You know we’ll all be waiting to see pics, hint, hint. Thank you again for featuring my home today. We are honored. 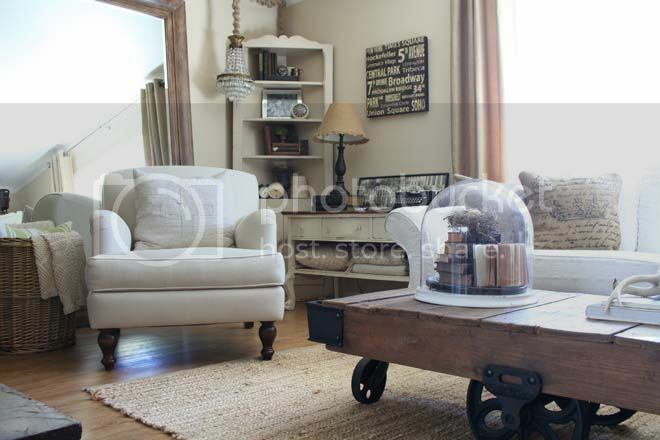 I really love the style of this home. I’m pretty sure I’ve seen it out in blogland before. I’d love to subscribe, but couldn’t find a link, so I’ve emailed her. Have a great time at the wedding! There’s a Subscribe button at the top of my blog. Just click it and you should be golden! 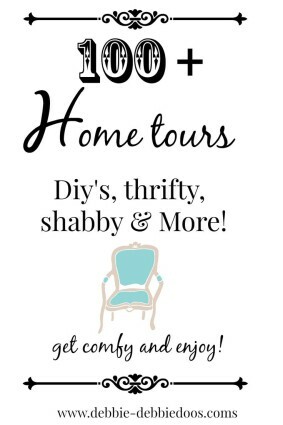 What a great home tour. I love her style. Have an amazing time at your sister’s wedding!! 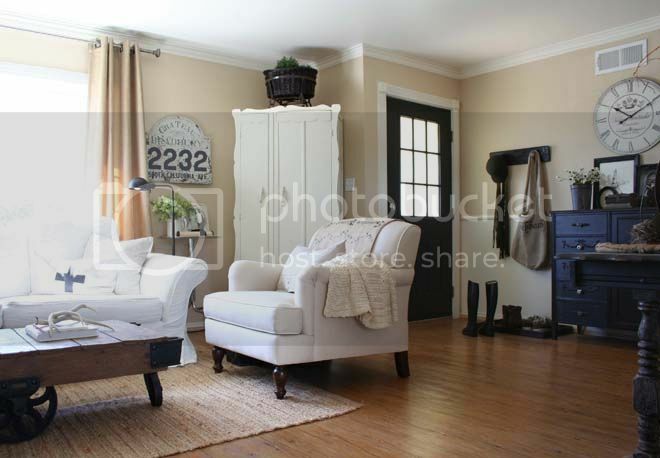 Love everything about this cottage! Thanks for sharing it with us, and I hope you have a wonderful time at the wedding! I’ve followed Jennifer through the remodel ~ such an incredible home! They have excellent abilities and great taste. Thanks so much for sharing! I know you’ll take lovely photos! Wow! How exciting! 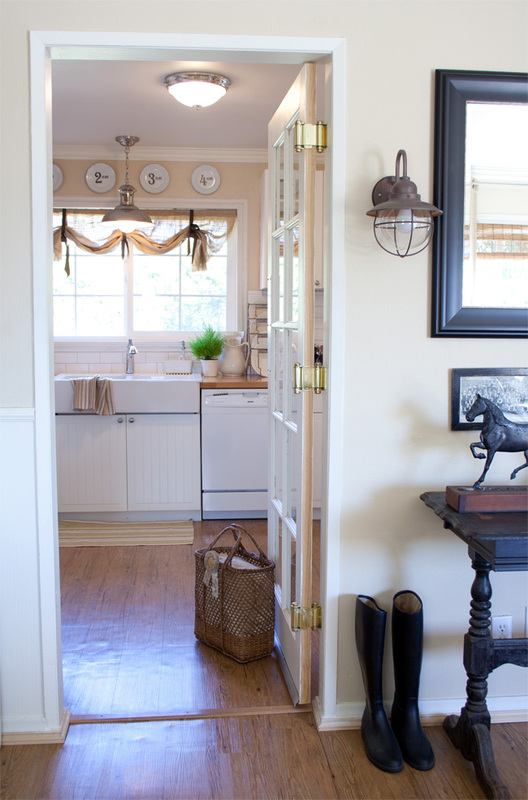 Beautiful cottage brimming with such gorgeous details. Loved this tour Debbie…great feature!! Jennifer is a gal after my own vintage loving heart! Congrats on your sister’s wedding – and I’d love to see you in the hotel lobby in you pi’s! I have always loved Cottage8! I am so glad you featured it! 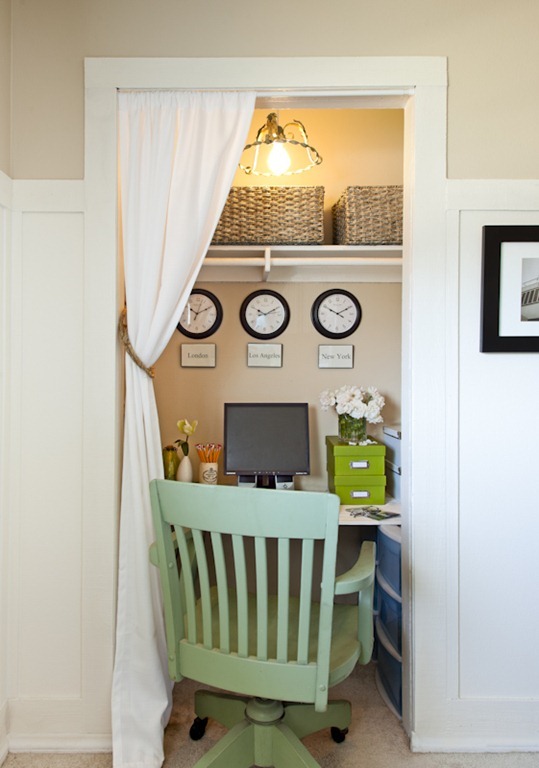 I get so many ideas from this home! I pray that all goes well and you have much fun and many blessings this day of your sister’s wedding! Have a slice of cake (the only reason I come to a wedding *wink) for me, okay?? That is the sweetest looking house ever. Her refrigerator is so cute. This is one of my favorites! Love it! Hope you’re having a great weekend! Love it! They have done a great job. Hope you’re are having a wonderful wedding get away! The kitchen was cute. Everything just looks perfect! You must have cuter pjs than me, I would never be caught in public in mine! This is a simply wonderful house. I’m off to check out her blog! This is so beautiful. I love all the details! I’m so glad I came across this!